Eilish Byrne-Whelehan- Musical Director and Founder of Feith an Cheoil. 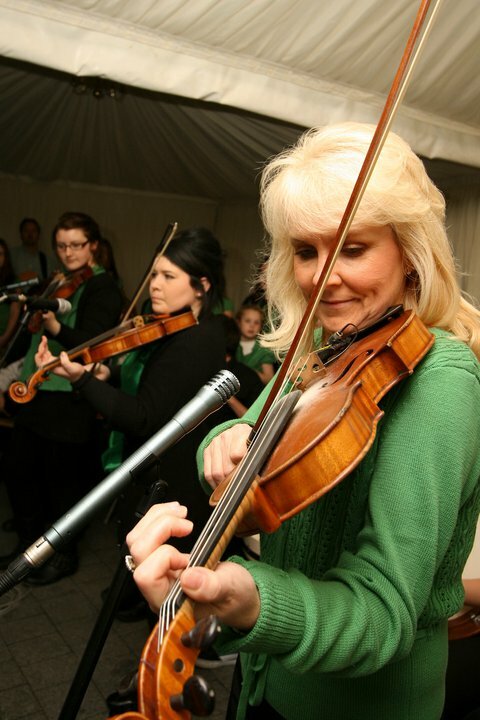 Eilish Byrne-Whelehan is a highly esteemed Fiddle Player, Recording Artist, Teacher and Community Leader. Eilish is first generation Irish whose parents hail from Offaly and Cavan. She has being playing Irish Music since she was seven years old and is a five times All-Ireland Champion. In the early years living in London Eilish’s Mother and Father were dedicated to keeping their Irish tradition alive taking Eilish all over the UK and Ireland to Irish music festivals, Fleadhs and sessions. It was their support and encouragement that spurred her on and their love for Ireland and all things Irish has been instilled into her. 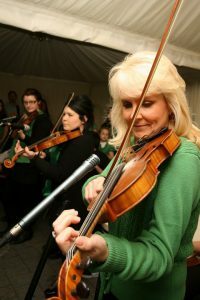 She is known internationally in Irish Traditional Music Circles and has performed with many renown musicians and artists. She has being featured as a distinguished musician in several radio and television programmes on BBC, RTE & TG4. As a recording artist and performer Eilish has toured extensively in the US and Europe both as a solo performer and a member of bands and ensembles. Eilish is the Musical Director of Feith an Cheoil, School of Irish Traditional Music based in London .The School of Music has being passing on Traditional Irish Music and the Arts to numerous young people since 2004. As well as taking part in Fleadh Cheoils festivals and competitions, Feith an Cheoil regulary perform in the local wider community promoting Irish heritage and Culture. Over the years Eilish has produced Pupils whom have also had great success at Fleadh Cheoils winning All- Britain and All-Ireland titles. Some of her past pupils have gone on to perform in such notable productions as “Riverdance” and “Lord of the Dance”. Eilish has met and performed for the President of Ireland, Michael J Higgins, and during his State Visit to London, Eilish was invited to meet HRH Queen Elizabeth at Buckingham Palace as recognition of her work in the Local community. When Eilish is not performing or teaching traditional Irish Music she is an enthusiastic and passionate Primary School Music Teacher making an amazing difference to the musical lives of many children and young people. Olivia has been playing the Harp for 9 years, and established the Feith An Cheoil Harp School one year ago. She is the current All Britain Champion and has retained this title for the last 5 years. One of her other milestones is achieving Distinction from grades I to VIII in Irish Traditional Music through the University Of West London. 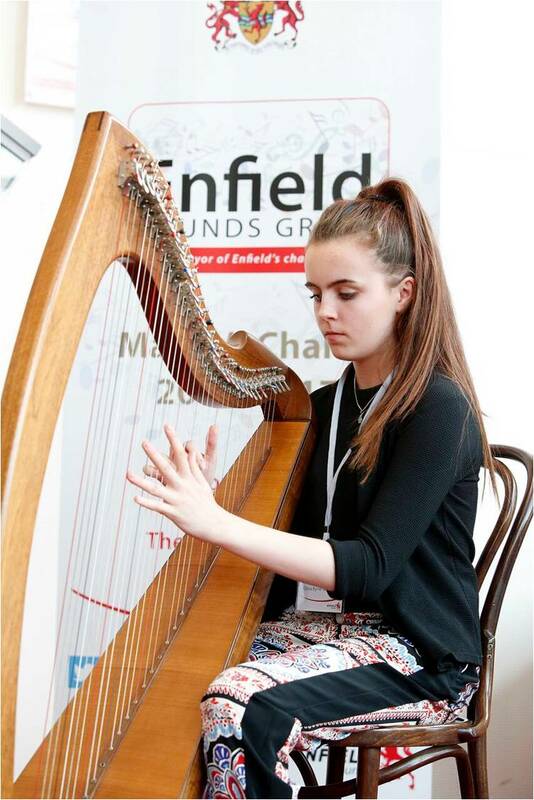 Olivia has met and performed for Mr Michael D Higgins the current President of Ireland, and was also appointed as an Ambassador Of Music for Enfield Council last year. Olivia has also appeared on TG4 and RTE throughout her years of playing.Olivia says that ‘music is a story; be it exhilarating, romantic or sorrowful. Music knows no limits, it has no language yet can be understood by all’.